Though it was originally supposed to be called the Murray Bridge, the Big Dam Bridge in Arkansas is a much better name. The bridge pedestrian and bycycle bridge spans the Arkansas River and between Little Rock and North Little Rock at Murray Lock. With a length of 4,226 feet (1288 m), the Big Dam Bridge is the longest bridge never to have been used by automobiles in North America. The bridge received on of the first ever Exemplary Human Environment Initiative awards by the Federal Highway Administration, as well as an Award of Merit at the international level by the Illuminating Engineer Society for its early use of LED lighting. 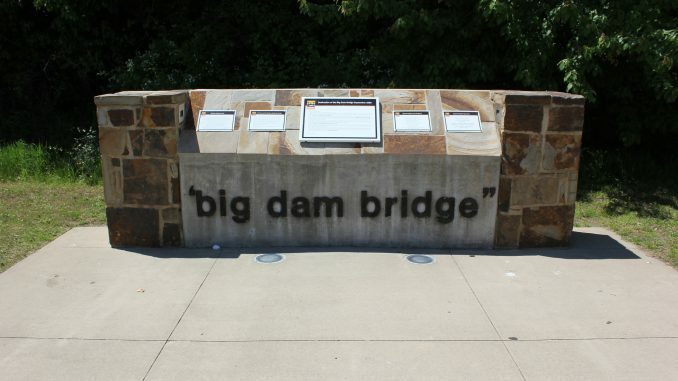 Pulaski County Judge F.G. “Buddy” Villines (probably something of a curmudgeon), who was overly concerned about financing the bridge once said, “We’re going to build that dam bridge”, and the name Big Dam Bridge stuck. The Big Dam Bridge has a rise of 90 feet (27 m) over the Arkansas River and 30 feet (9.1 m) over the dam. The river span of the bridge is 3,463 feet (1055 m). 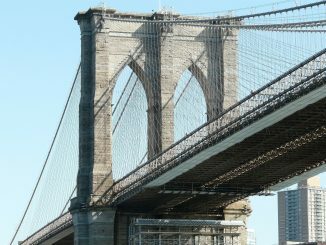 The construction cost was $12.8 million. 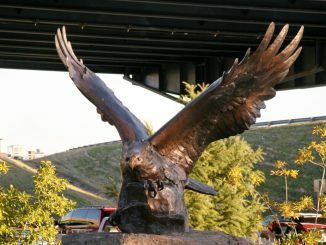 The Big Dam Bridge was opened with a small ceremony on 30 September, 2006.